Have you been wondering what mindfulness is all about? Are you trying to decide whether to commit to an 8 week course? 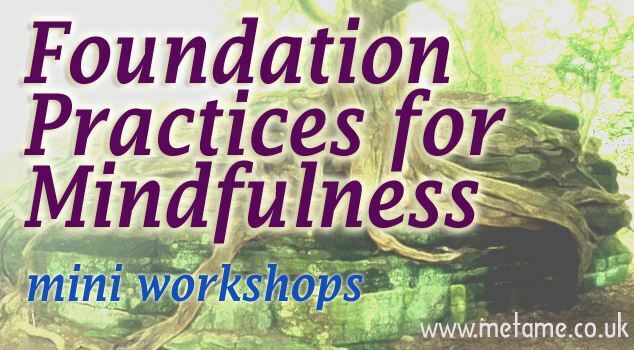 Do you want to bring some mindfulness into your life, but not attracted to a longer course? You probably have lots of questions which stop you from taking action, but if you are drawn to mindfulness, why not take this first step? This will give you experiences in meditation, raising awareness of sensations of the body, and learning to observe thoughts and emotions. A theme is prepared and open for discussion. In the spirit of mindfulness, we are present to what arises in the moment. This is a guided and structured session, but the intention is to have a relaxed, informative and supportive environment in which you can raise any concerns or questions you have. If you are interested but cannot attend now, get in touch and make your preferences for dates and times known. Places are limited so please contact to book.